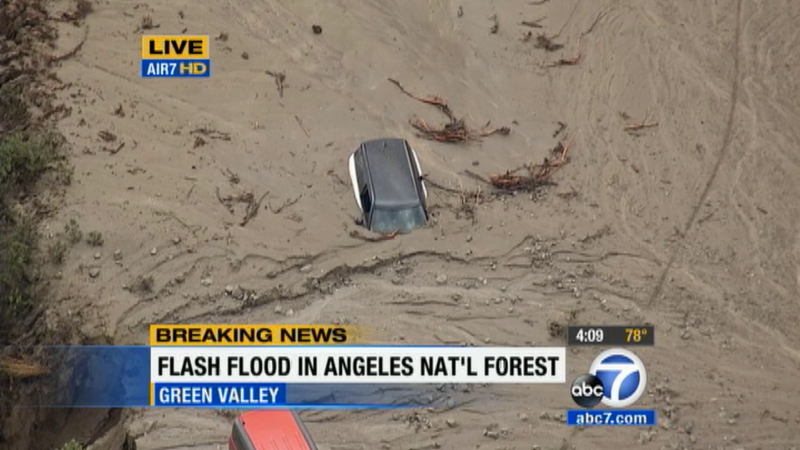 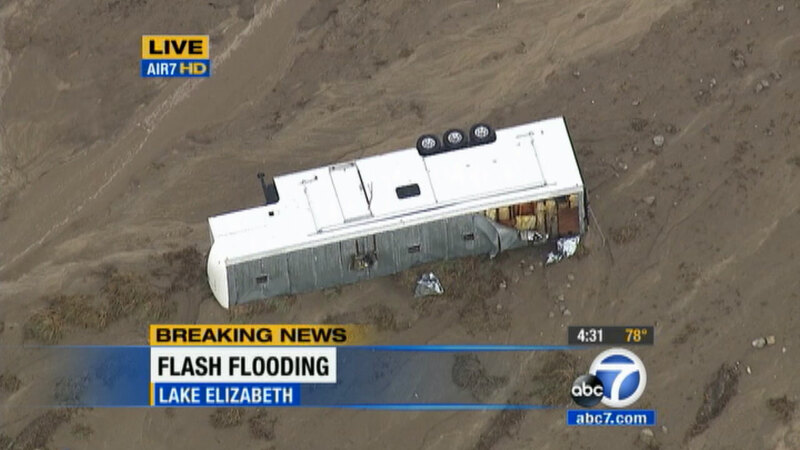 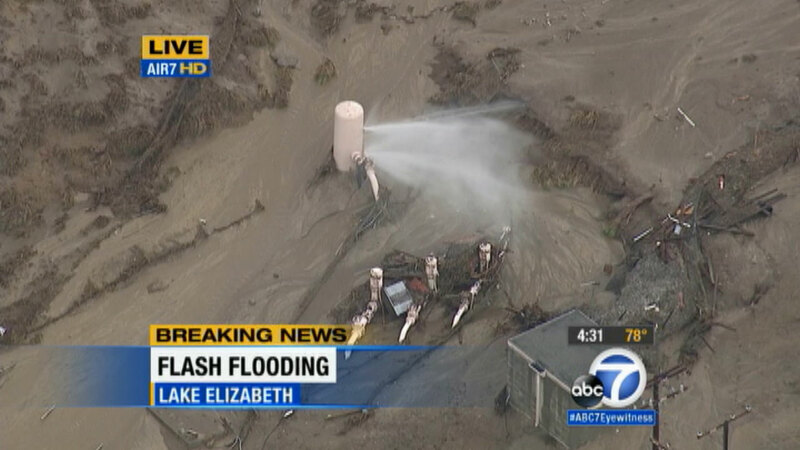 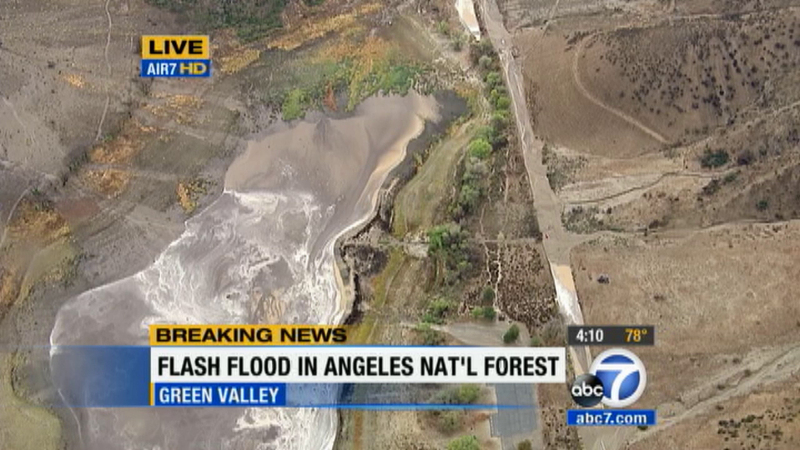 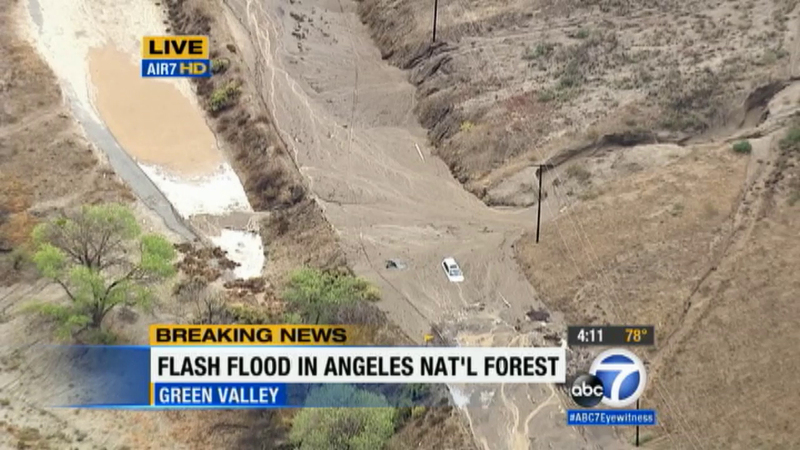 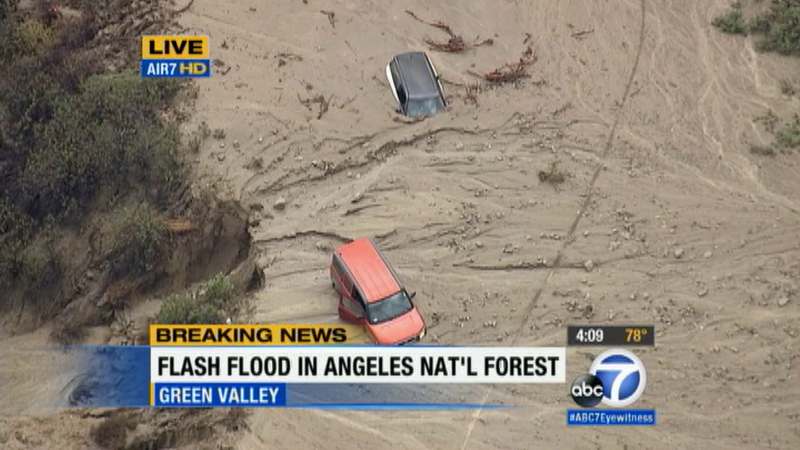 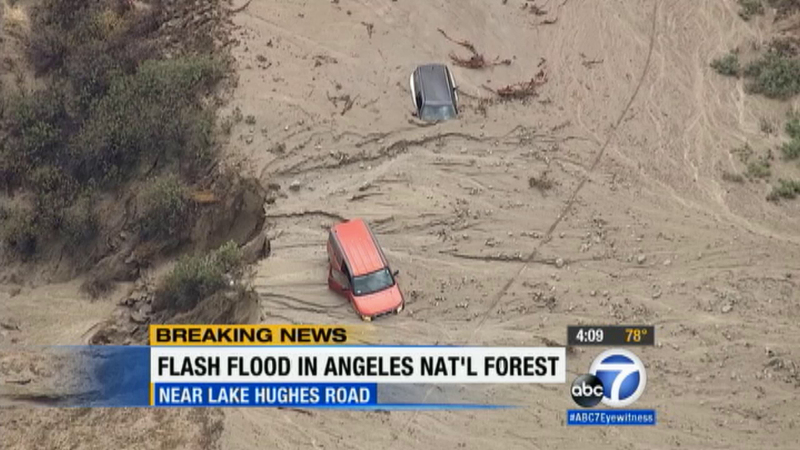 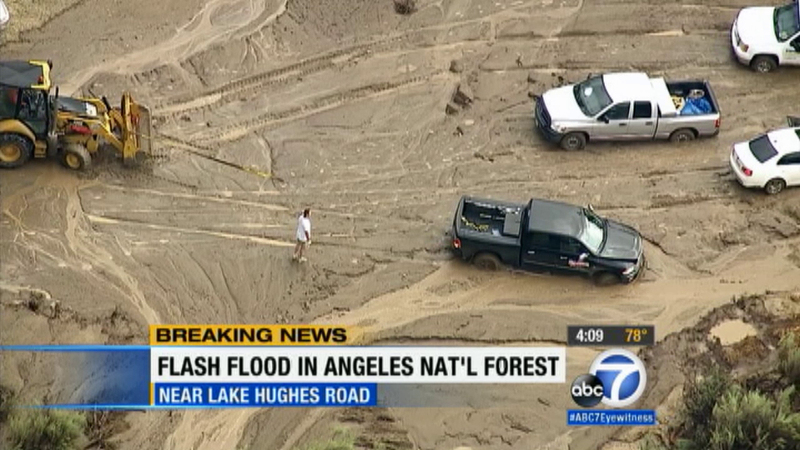 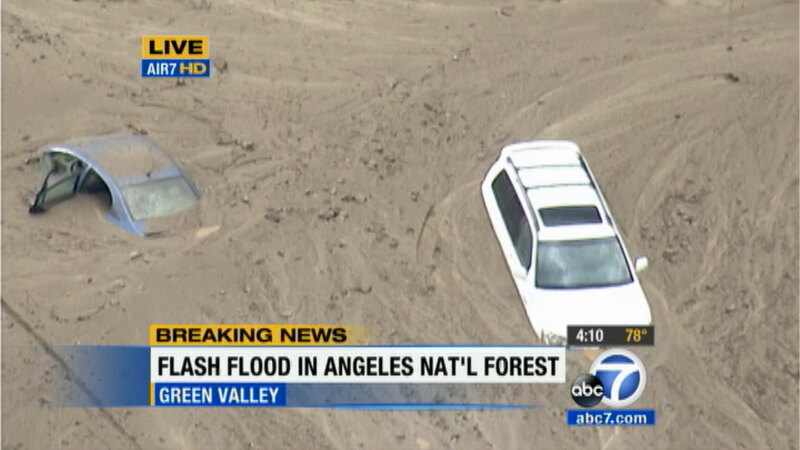 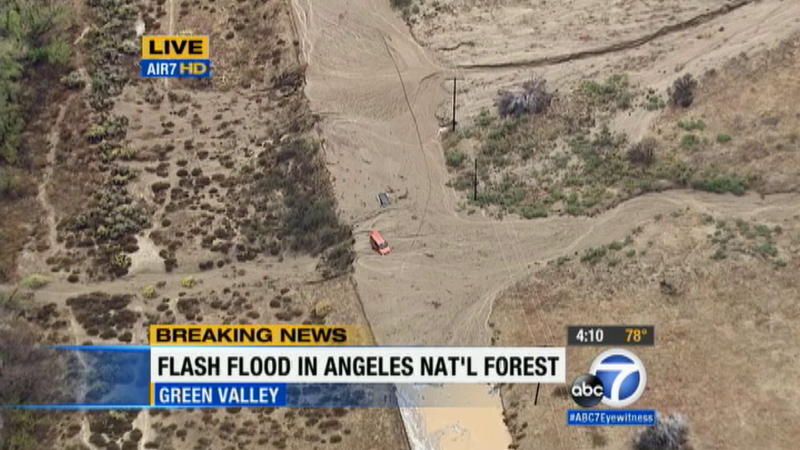 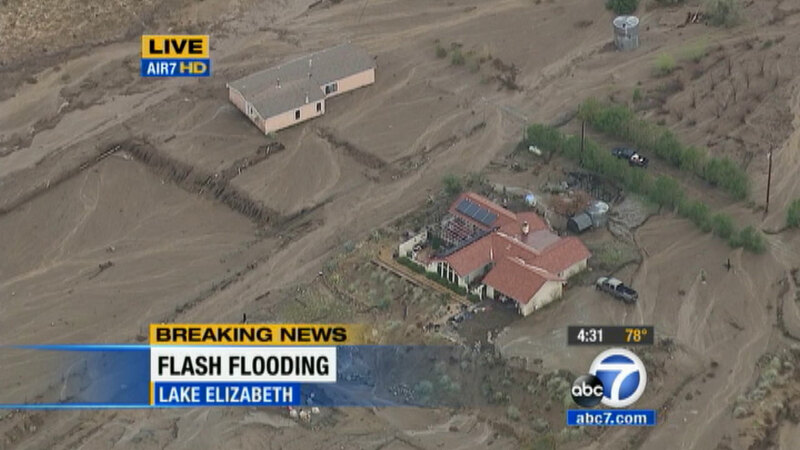 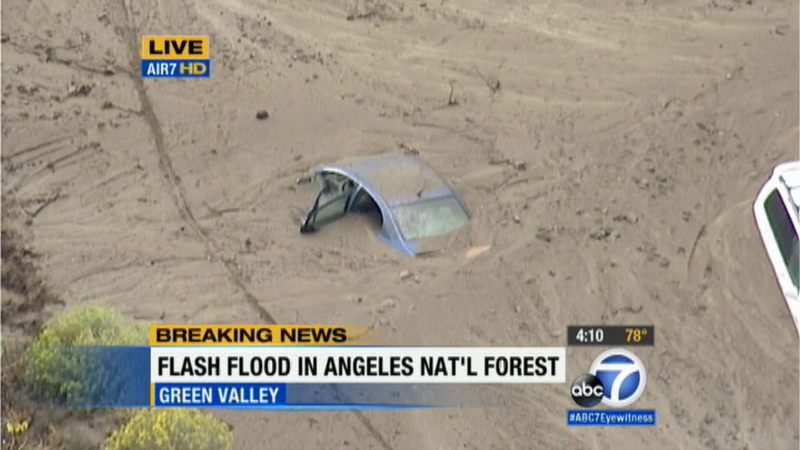 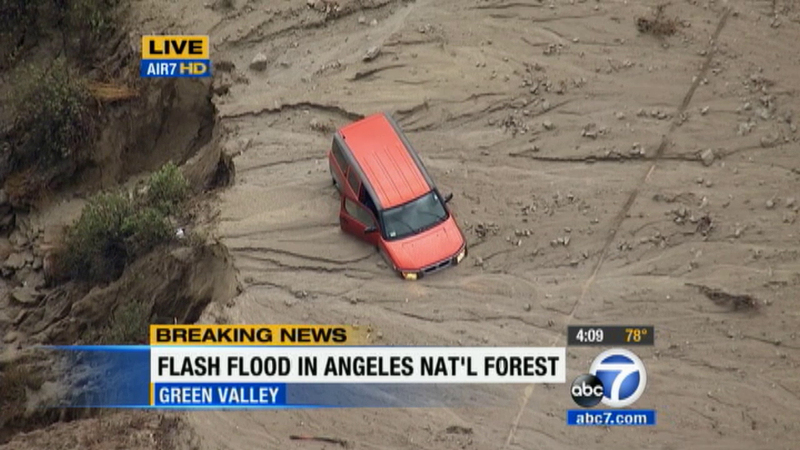 Flash flooding sparks a mud flow that closes roadways, strands vehicles and damages property. 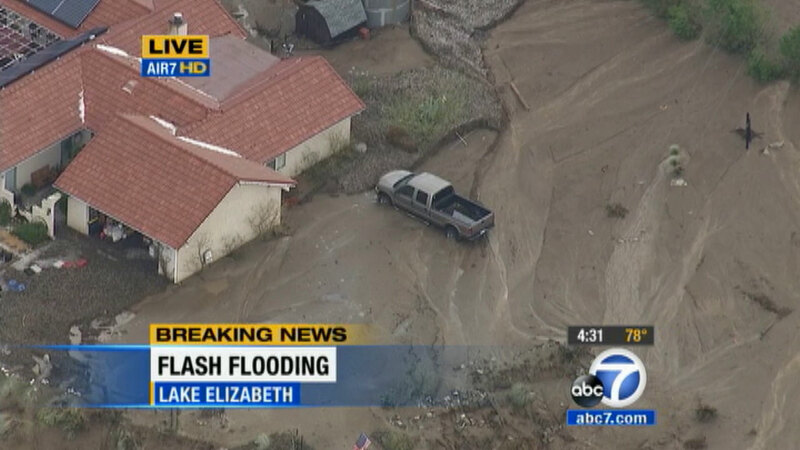 Oct. 15, 2015. 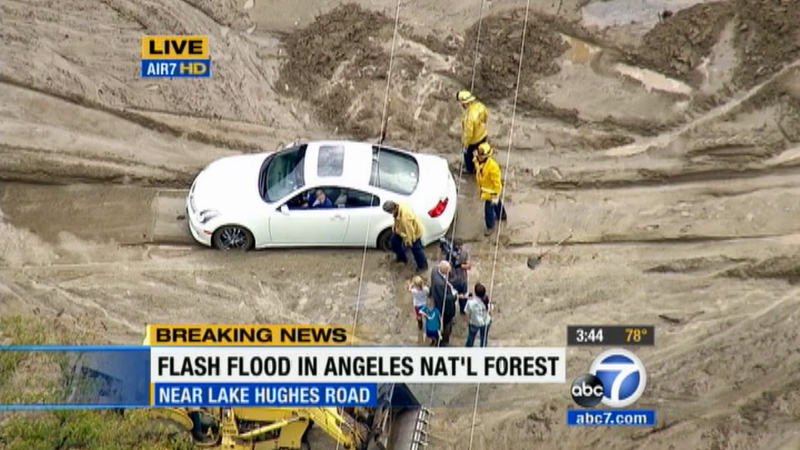 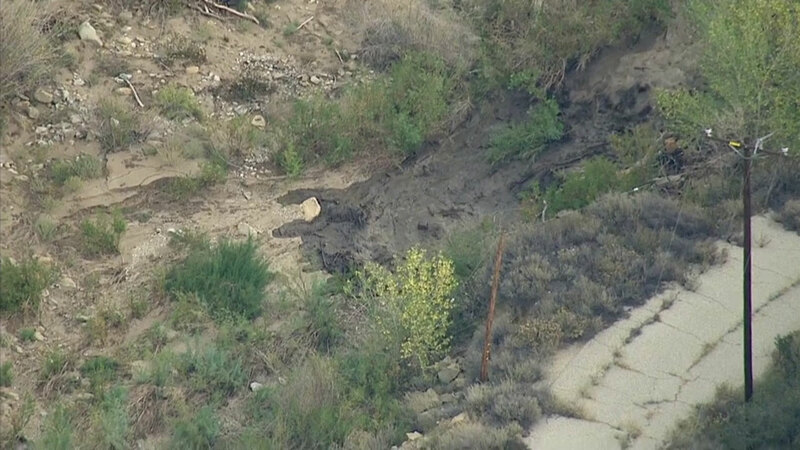 Severe flooding and thunderstorms in northern Los Angeles County on Thursday sparked a dangerous mud flow that left cars stranded along San Francisquito Canyon and Lake Hughes roads, prompting rescues.